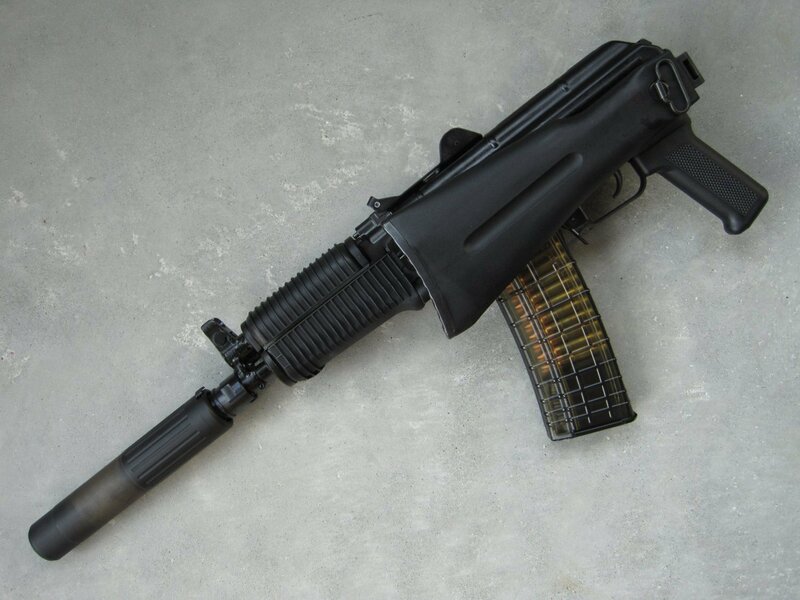 Kalashnikov AKSU AKM SBR/Sub-Carbine Chambered in 300 AAC Blackout Test-Fired at the Range (Video!) | DefenseReview.com (DR): An online tactical technology and military defense technology magazine with particular focus on the latest and greatest tactical firearms news (tactical gun news), tactical gear news and tactical shooting news. Rob Silvers of Advanced Armament Corp. (AAC) just shot a video of himself firing a Kalashnikov AKSU AK SBR (Short Barreled Rifle)/Sub-Carbine chambered in 300 AAC Blackout. The AKSU’s barrel was made by Troy Sellers of In Range C2 Inc. The ammunition being fired in the video clip below is Remington 200gr subsonic 300 AAC Blackout ammo. 300 AAC Blackout (.300BLK) 7.62×35mm Heavy Supersonic/Subsonic Rifle Cartridge for Military Special Operations Applications: Will it Fly? Previous: Archangel Armor Internal Frame Load-Bearing System (IFLBS) Version 5 Tactical Armor Plate Carrier/Tactical Vest System: Lighten your load when you’re in combat mode!